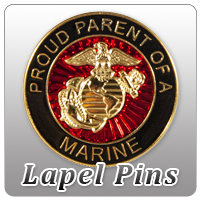 Our Marine Corps cards and stationary shop is now open! Unique cards and stationary for military families. Click thumbnail to view larger image(s). Please allow an additional 5-7 days for production including orders requesting upgraded shipping. Made in the USA. This banner is great for one or two people to hold or wave. The sides are hemmed with room for dowel rods or string for either holding and waving or display. Dowel rods are NOT included. This classic design features the EGA Shop’s version of the United States Marine Corps Seal with up to 60 characters of custom text. This design would be great for a welcome home banner. *Custom text will appear exactly as you type it below. Please use correct case, spelling, and punctuation where necessary.